A beacon of light in the dark, the Ferris Wheel is back lighting up the sky. 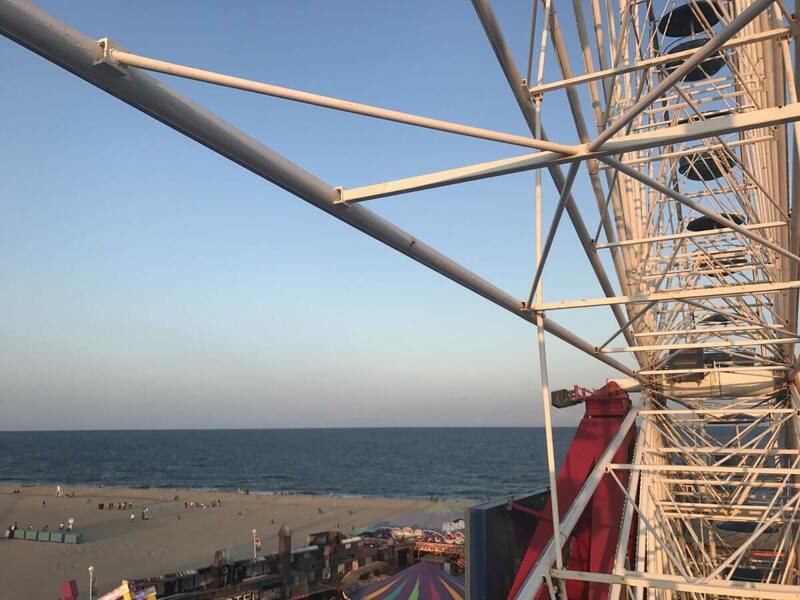 As of last weekend, the Jolly Roger Ferris Wheel on the Ocean City Pier is back and better than ever — seriously. 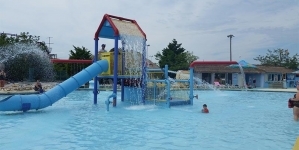 Jolly Roger reinvented the wheel this year, much to our advantage, by giving it a new, updated look and restoring its interior and exterior so the Giant Wheel in the sky can keep turning and light up Ocean City for another summer of fun. 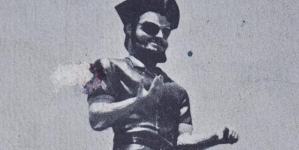 Back in October, I published a short article here titled “Where’s the Jolly Roger Ferris Wheel?” The story wasn’t meant to be clickbait-y — I wrote it because we’d been getting a ton of messages and comments asking that same question, so I called up Dean at Jolly Roger to answer it once and for all — but it seemed that many people scrolled across the headline and immediately assumed the worst. 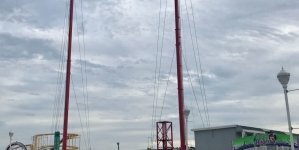 Oh no, the famous Ocean City Ferris Wheel is gone forever! But thankfully, no. It was just gone temporarily for some basic repairs and updates. In September, the wheel was dismantled and sent to Big B Manufacturing in Pennsylvania, where the galvanization process began. 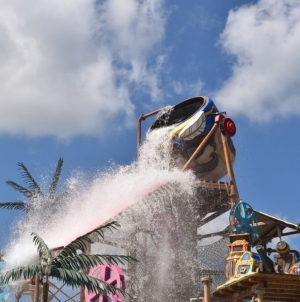 Each piece of the ride was detached and coated with a protective layer of molten zinc to produce a corrosion-resistant, multilayered coating of zing-iron alloy and zinc metal, to keep the wheel protected from general wear and tear and beachfront abrasion. After the six-month restoration process, the wheel is back on the Pier with new LED lights — a total of 35,650, twice as many as before — which use only 15% of the electricity that regular incandescent lighting would consume. 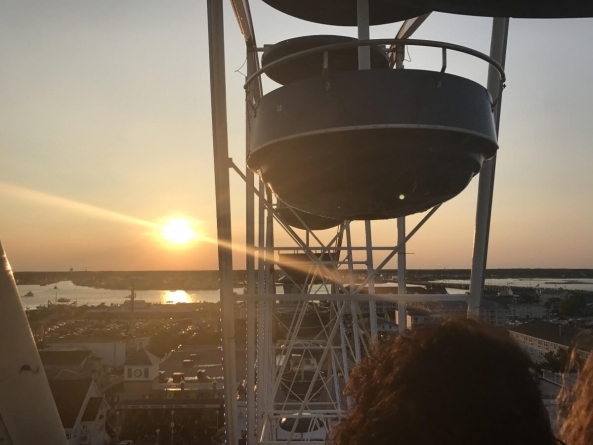 In April the Ferris Wheel was erected back on the Pier, quarter by quarter, and on Friday, May 4, a ribbon-cutting ceremony took place and the wheel was officially open for the season. Photo from a sunset ride, taken last summer. It is a shame to visit Ocean City in the winter months and not see the crown jewel of the Jolly Roger Pier turning in the sky, but such refurbishments are necessary to keep the ride safe, sturdy and beautiful year after year. 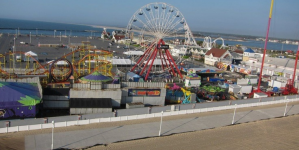 The 108 ft. wheel has been a staple of Ocean City for over 30 years, and has seen more than 3.2 million riders since its initial opening in 1986. 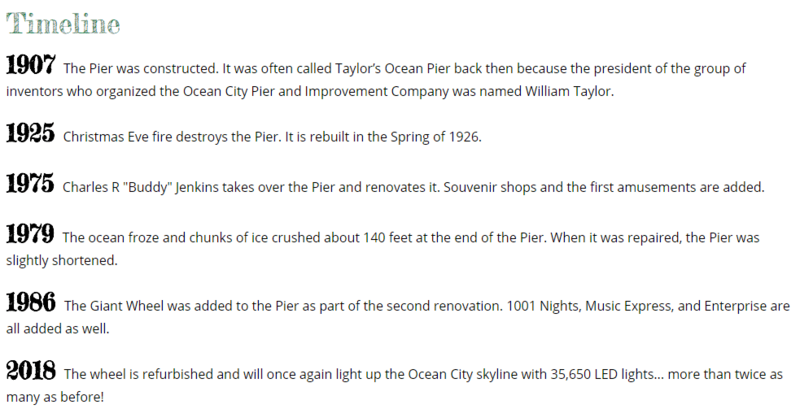 Here’s a timeline courtesy of Jolly Roger that shows how the Giant Wheel fits into the history of the Pier overall. The wheel was built in the mid-80s by Marple Rides in Uithoorn, Holland, then shipped from Rotterdam to Baltimore on Polish Ocean Lines. It arrived in ’86 along with rides 1001 Nights, Music Express and Enterprise, completing the Pier’s second renovation following the winter storm of 1979. 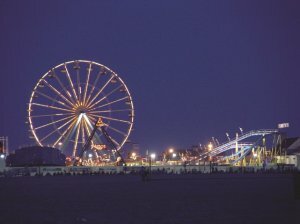 The Giant Wheel was complete with lights on the tops and bottoms of the gondolas and lights circling the wheel, and since its first fateful year on the Pier in ’86, the Ocean City skyline hasn’t been the same without it. Hi Kristin, could you please explain me, for what reason the blue towers everywhere in West Ocean city a front of bridge were built? Not quite sure what you’re referring to… if you could be more clear or send a picture I might be able to understand!